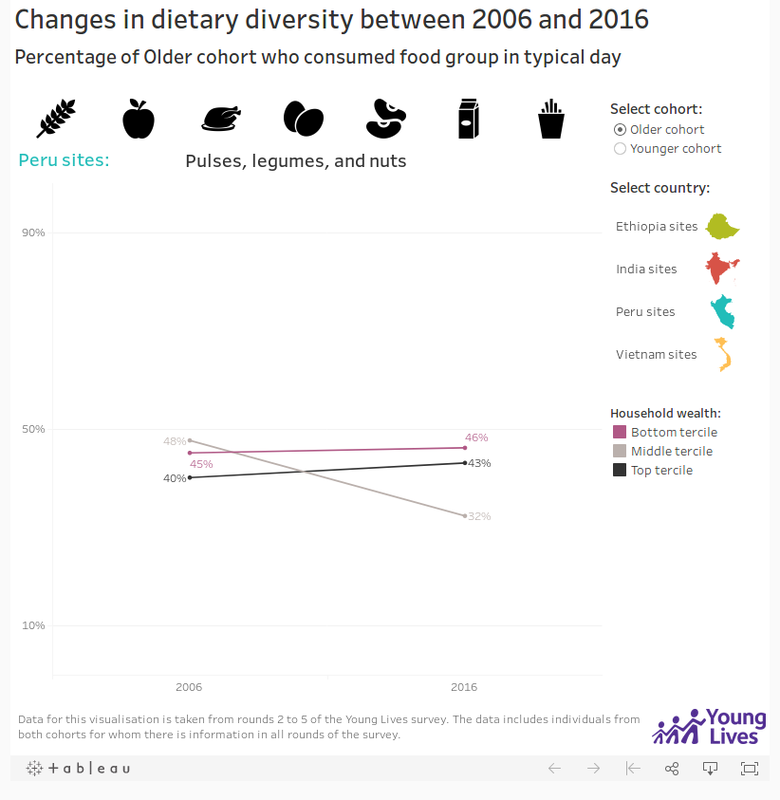 Note that this data can be visualised by cohort (Older or Younger) and household wealth index. 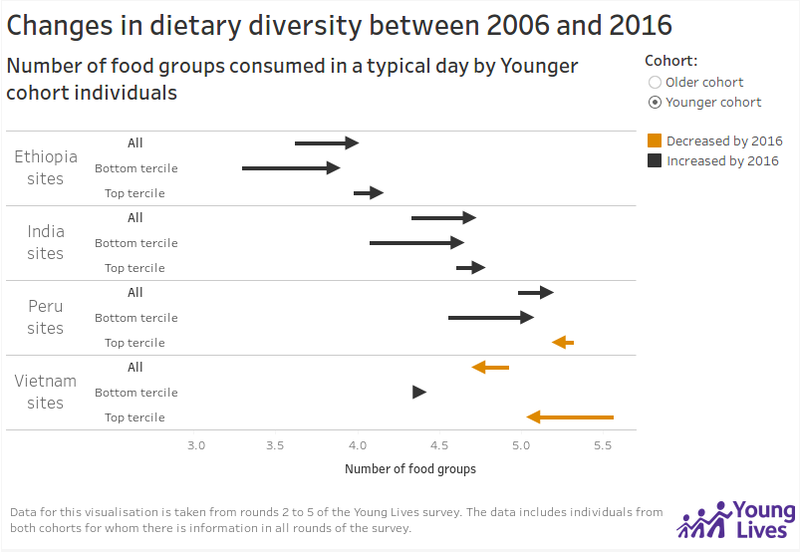 Note that this visualization is automatically filtered to show only one country and one food group at a time, both of which can vary upon selection. 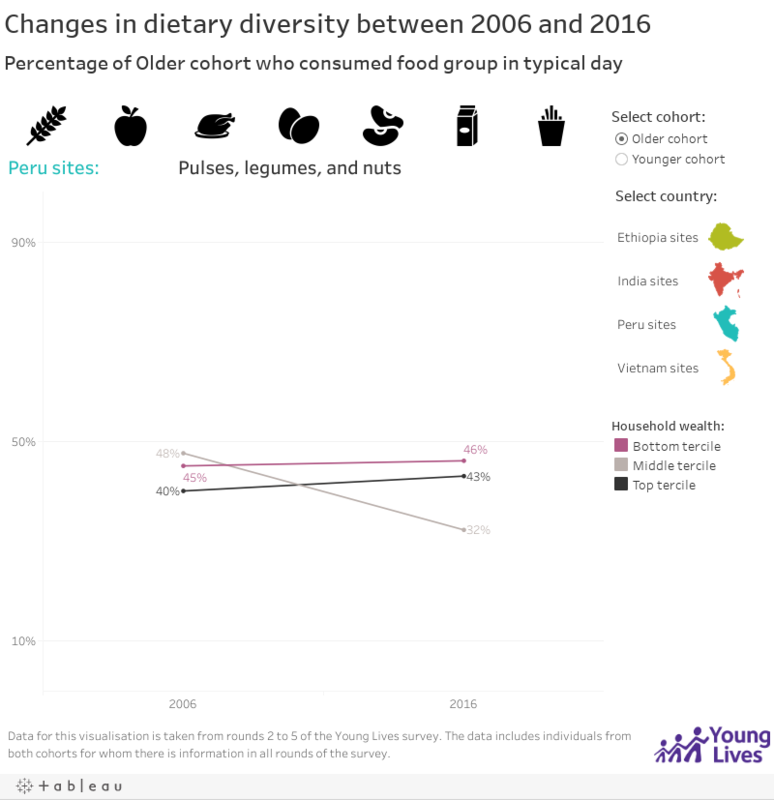 This can also be explored by cohort (Older and Younger) with the different lines representing different household wealth tercile as specified in the legend. 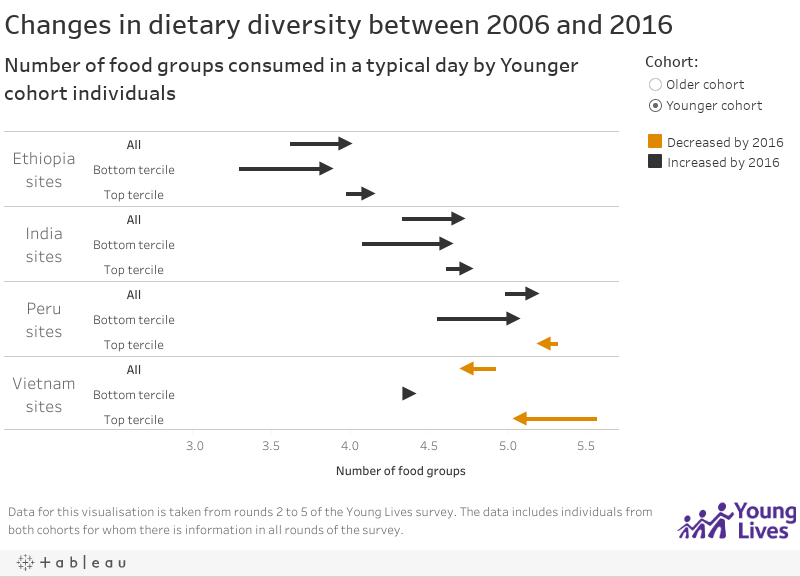 More information on how we measure dietary diversity (number of food groups that comprise diet in the 24 hours preceding the survey interview, or a typical day), a description of food groups and explanation of household wealth terciles can be found in our working paper on food diversity in childhood here.